Able Seaton Port has some of the strongest quays in Europe. 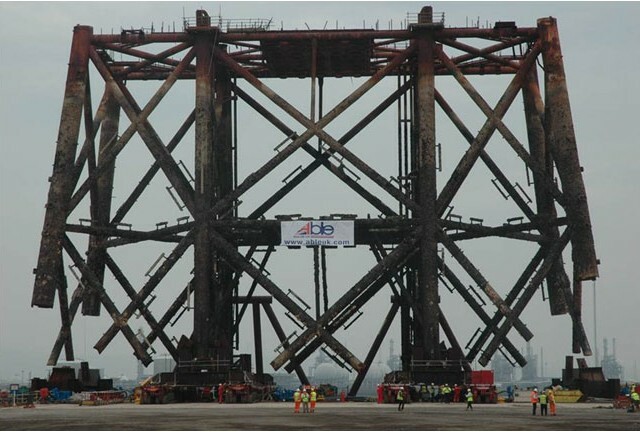 Construction of Quay 6 is now complete and provides the capacity to receive 48,000t single piece units. 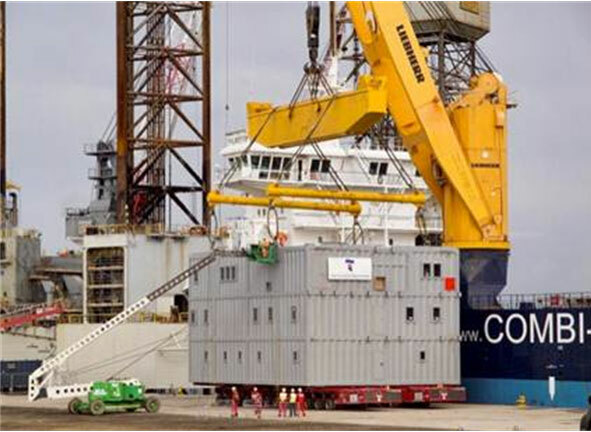 ABLE is well adept in the handling of complex project cargo. Our versatility, combined with a decisive and flexible mind-set, has, and will continue to create solutions for industries that present a number of challenging scenarios. 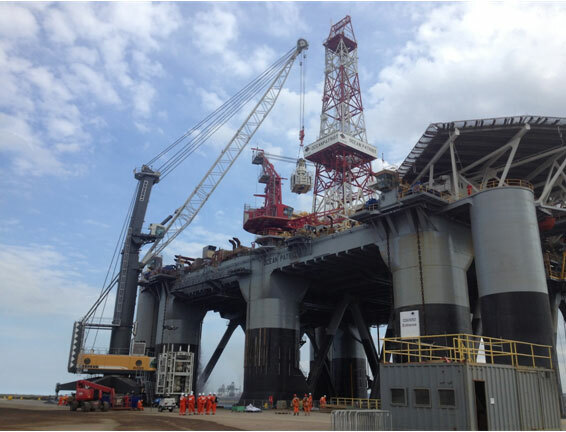 Our clients obtain a competitive advantage from a location that is at the heart of the North Sea’s offshore industries. 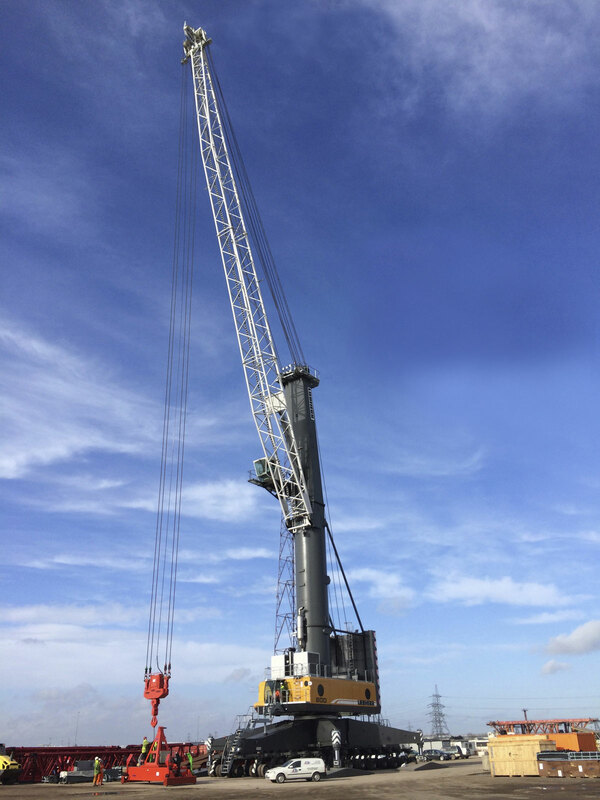 Liebherr LR1300 Crawler Crane. 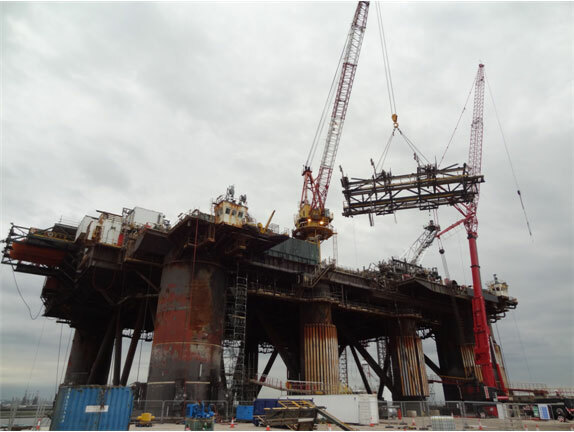 300.5 ton lift capacity and can be configured to a maximum radius of 80 metres. Also available with a 50m leader rig attachment and Bruce 16 ton piling hammer. 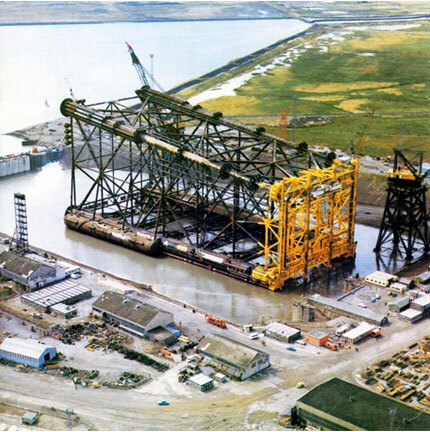 Sennebogen 6130 Crawler Crane. 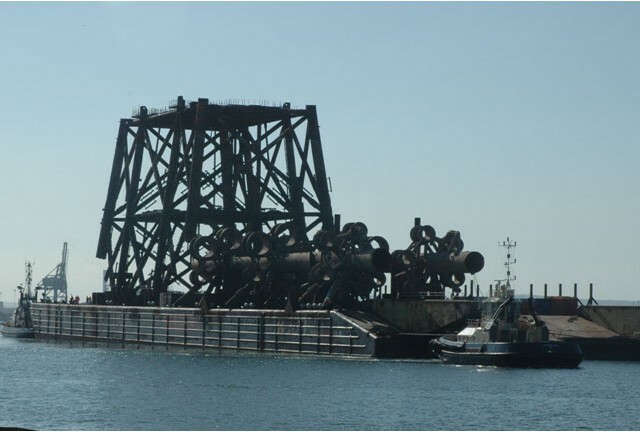 Can be configured to lift 136 ton and has a maximum radius of 42 metres. RT55 Rough Terrain Crane. 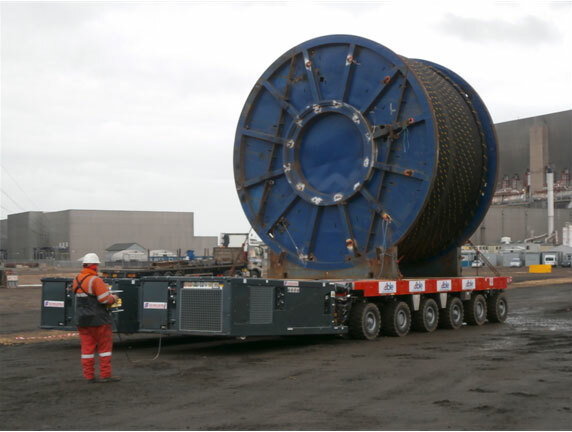 SWL of 54.88 ton and a maximum working radius radius of 41 metres. 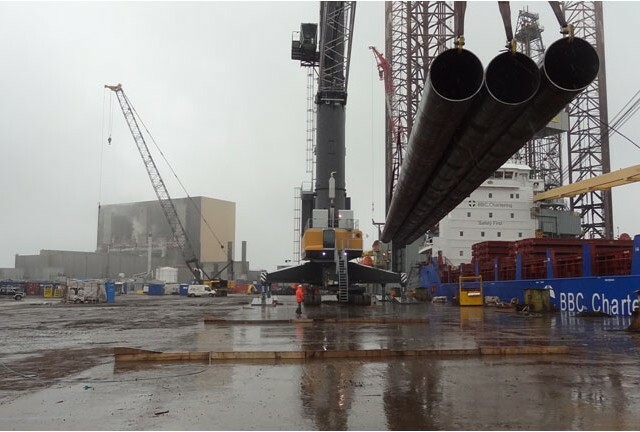 A main jib head height of 34 metres but also comes complete with a telescopic fly jib that can increase the head height up to a height of 54 metres and can be offset from 0 to 40 degrees. Scheuerle 6 axle SPMTs complete with Z350 power pack units. With a SWL of 48 ton per axle can be supplied in a vast array of different configurations. Various sizes of forklifts available from 2.5 ton up to 32 ton. 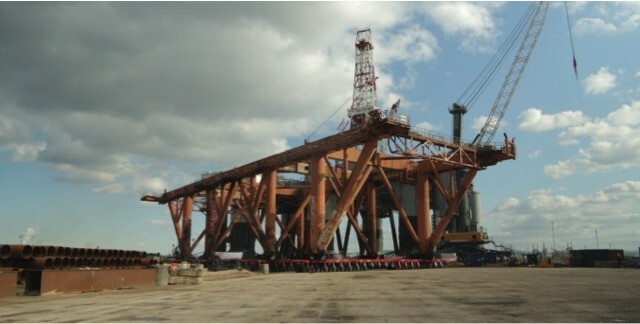 The LHM 600 mobile harbour crane unloading a delivery of 4,000t of steel tubular piles, that were carried by BBC Bangkok. 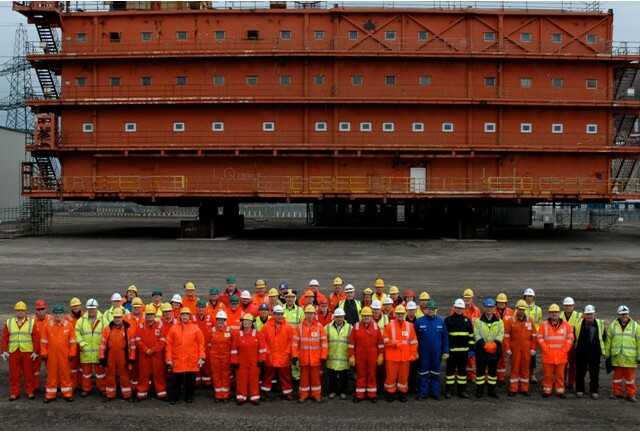 The H627 barge, 179m long and almost 50m wide, is operated by Heerema Marine Contractors, and arrived at Able Seaton Port with a 4,000 tonne payload, including the top section from a North Sea platform jacket. 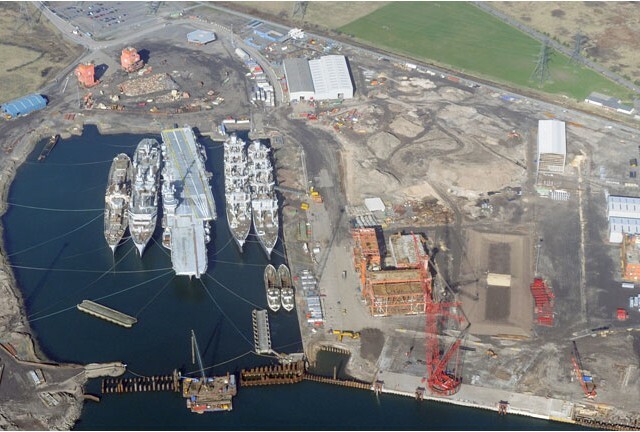 The former BP North West Hutton Living Quarters were delivered by barge and transported over the quays by multiple sets of SPMT’s. An extensive refurbishment has since transformed it into on-site offices, welfare and canteen facilities. 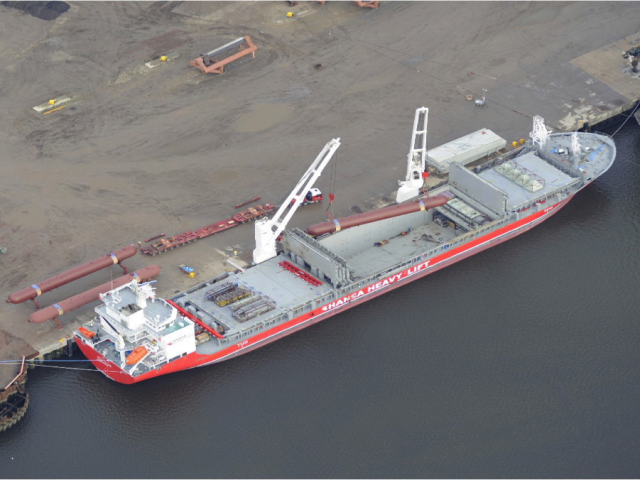 In a meticulously planned and executed transport and hoist operation lasting five days, four 250-tonne, 110-foot-long “slug catcher” vessels and a 60-ft, 50-tonne phase separator travelled the four miles from the Able UK dock to the Teesside Gas Processing Plant (TGPP).